Sting the competition with the DynoTune Black Widow Nitrous Kit. This kit is the most complete kit available. 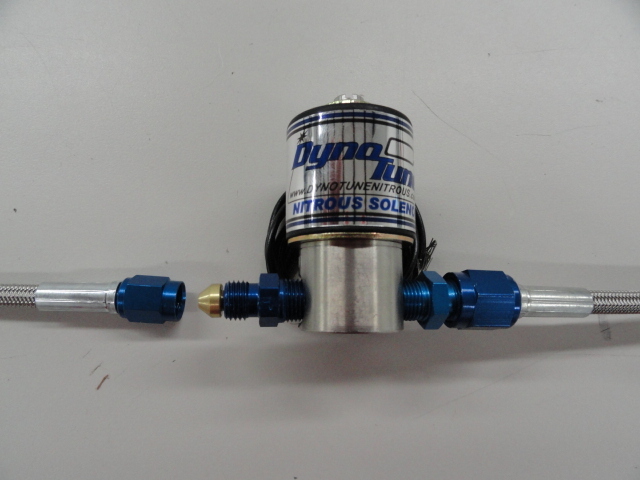 Made for high horsepower 4 cyl bikes, this kit will flow up to 150hp. 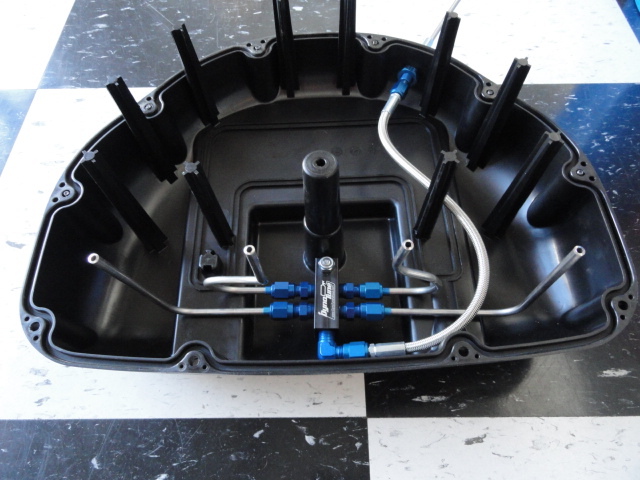 Finally a complete universal kit made for any fuel injected 4 cyl motorcycle. Custom fit your spray bar to your preference! Simply install the black widow spray bar, bend your tubing, cut to length and your done. This kit is the ultimate in tuneablity. Designed for use with or without progressive controllers, this kit jets at the spray bar and at the solenoid for tons of fine tuning ability. Other spray bars do not work with progressive controllers due to poor design. if you mount jets at the spray bar, all the braided line and inside the spray bar acts like a reservoir holding the pressure. It will not pulse the pressure as it would take a second or two to bleed past the jets. By jetting at the solenoid the pressure will build much slower in the lines giving way more control of the nitrous coming out of the hole. Jet changes are now a snap! No more lifting the tank, simply swap the one jet on the solenoid. Comes complete with a tubing bender, tubing cutter, extra tube, jets, black widow spray bar, braided lines, the list goes on and on. 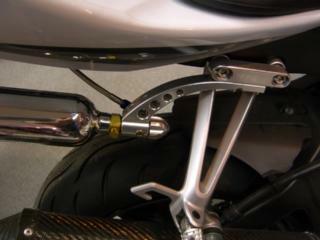 Comes with twist on bottle and billet bracket similar as above. Note, specific models that use an adaptor bracket are exta $(This is the long bracket that makes mounting the arched billet brackets, a bolt on affair). NOTE: This kit requires the use of a programmable fuel device like a power commander or bazzaz. You must have the nitrous system professionally tuned before you use the nitrous! Custom length braided lines are available, just call in your order or send us a note in the order. NOTE: If using 20oz bottles you need to check for clearnence for bodywork etc, they are much larger than the 12oz bottles!